The Morton System is an integrated set of tools used to simplify difficult glass cuts, which allows a beginning hobbyist or professional studio to easily make cuts in glass that are difficult or impossible to accomplish with other tools. The special cutting surface cells trap the glass chips, which will prevent your glass from getting scratched and will provide you the ability to work safely with glass anywhere without the mess. The special breaking system consists of a pressure block with a concave undersurface used with a running button that has a convex upper surface on top of an open grid surface. This breaking system is safe to work with since glass is not broken by holding the glass in your hands. 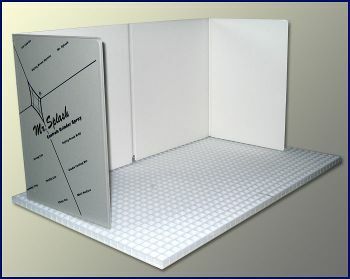 The Portable Glass Shop allows you to make cuts fast and accurate. It cuts triangles, rectangles, diamonds and any other geometric shape easily. Just measure one time, then cut two or a hundred pieces - all identical! A grid work surface is required, but not included. 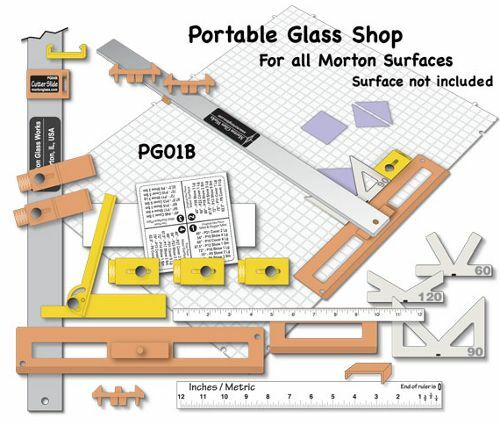 The markings on your current Morton surface are easily modified to work with this New Portable Glass Shop. Video and Manuals are available online to make the learning easy and fun again. New features include a reversible Squaring Fence for regular and thin art glass and fast angles in both metric and inch scales. Includes the new "Cutter Slide" Bar which improves your cutting technique. The Mini Surface is sold separately. The SS02P, Mini Surface Plus, is two 11.25 x 15.75 inch interlocking panels that are 100% compatible with all Morton cutting surface accessories. Packaged with 2 panels in the box. The CBS1 is the ultimate accessory for the Portable Glass Shop. 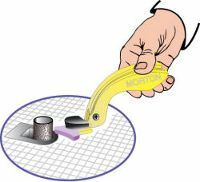 The Circle & Border System is a jig tool for the glass crafter who wants much more than a circle for their plate and bowl designs. This unit comes with a computer program and video instruction. Can be configured to be left or right handed. Comes with a computer program for calculating the glass sizes needed to make your project. NOTE: The grids are sold separately. Replaces the previous Teeny Turn Table and Teeny Circle Guide. The Teeny Circle System is an inexpensive method of making small circles, but is so much more. Most inexpensive circle cutters have two critical shortcomings... they can't make smaller than 3" circles and they use a much lower quality cutter wheel than your regular glass cutter. The Teeny Circle System is for circles of 6" or smaller. This unique design allows jig setups for much more than circles. 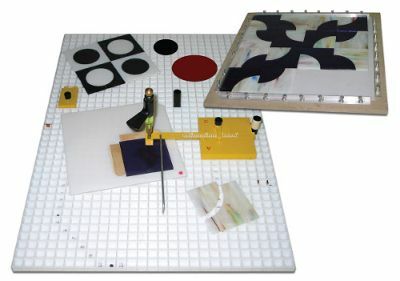 With the TCS1 you can make teeny circles using your personal glass cutter. 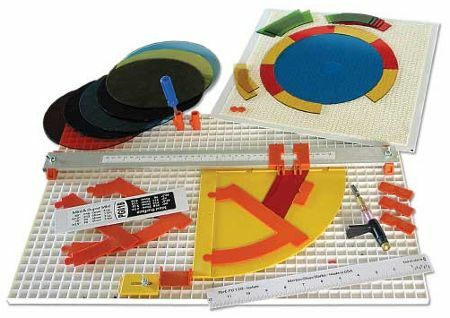 The Layout Block System (LB01), is a replacement for wood board, wood strips and horseshoe nails of traditional project layout board. 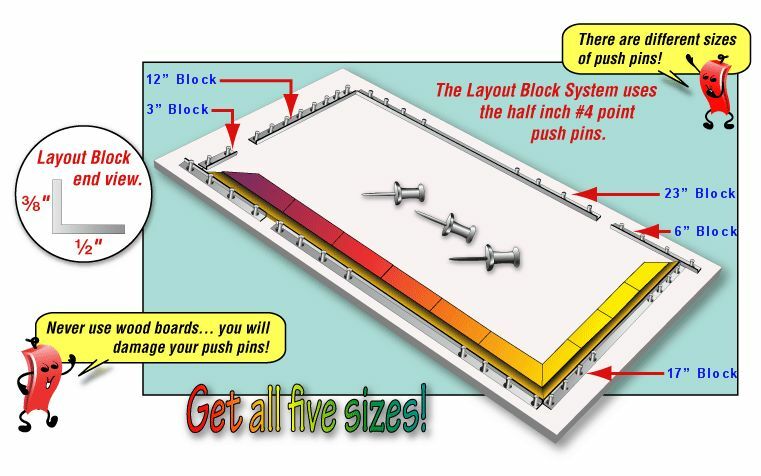 The ten 6" aluminum blocks and 40 push pins utilize inexpensive soft boards for layout (ie. homosote, or drop ceiling tiles). This system is widely used and recommended by teachers for the home hobbyist. Four 12" and four 3" aluminum blocks and 40 push pins give you the flexibility to make both large and small projects. 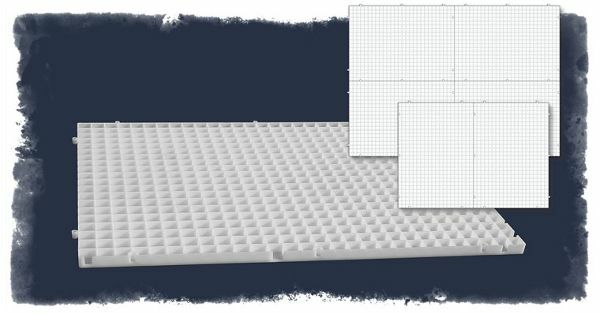 Two 17" aluminum blocks and 16 push pins greatly expand the entire Layout Block System for those larger project layouts. Two 23" aluminum blocks and 16 push pins greatly expand the entire Layout Block System for those larger project layouts. 16 aluminum replacement push pins with 1/2-inch #4 point. A patented two-part breaking method. Allows staring the break anywhere along the score. Includes Breaking Button, powerful and easy-to-use Pressure Block and Morton Runner. The Morton Runner improves the power and control of hand breaking. Designed to go with the New Portable Glass Shop. Glass artists have been asking for them so Morton Answered. Set a size, add masking tape and record the column and size. The more Glass Stops you have, the more sizes you can keep track of. Holds a lot of glass for its size. It is great for regular storage and keeps your work-in-progress organized. As you cut big pieces into smaller ones, use the Caddy to hold your usable scrap. Each section holds up to 3 12x12s easily. 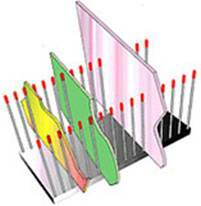 Grinder Tongs (GA04),Hold small pieces of glass safely while grinding their edges. Duckbill design helps hold glass square to grinder head. No more finger cuts. Use the Morton Twister (MT01), to twist copper wire, brass wire and lead came into decorative edge trim. A must for every glasscrafter. 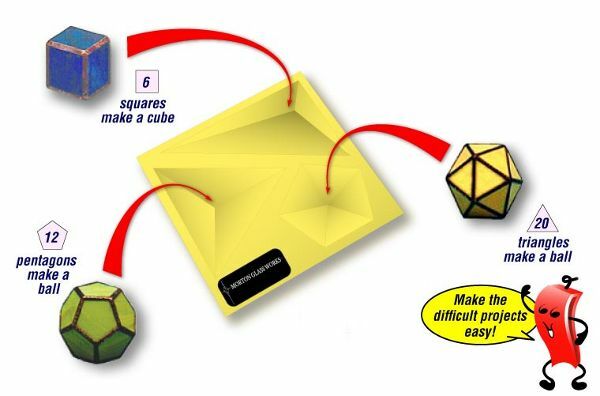 Makes the assembly of geometric dimensional shapes easy. Basic shapes like the triangle, square and pentagon are easily assembled into jewelry boxes, lamps, paper-weights and much more. Instructions for eight exciting projects are included. Sit Mr. Splash, (GA02), around your grinder and protect your work area. If you have a Mini Surface, (SS02), place it under your grinder to trap the mess and keep your grinder dry. Strong Line is a thin (.020”) coppered steel strip used to greatly increase the strength of copper foil or lead channels. The strip height, about the same as most glass is thick (.114”), fits the lead channel perfectly and can be used on both sides for extra reinforcement. Strong Line is easy and fast to use. The wire is easily pulled from the cardboard dispenser in much the same way as scotch tape. Package contains 25 feet. The Cutter Caddy is one of those items that make working with glass more fun. One helpful function of the Caddy is how you can use it as a holding cap for your "Sharpie" pen. The Caddy replaces the cap while you are working on your patterns. Your pen will be easy to find and the cap easy to remove as your mark your glass.